However, many small and medium-sized businesses were also victimized by ransomware attacks, often under the mistaken impression that they were too small to be considered worthwhile targets by the perpetrators. Unfortunately for many of these small businesses, this impression ends up costing them big when ransomware strikes. 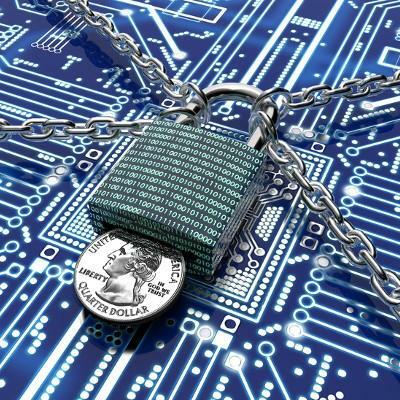 Ransomware works by encrypting the data stored on a device, demanding that the victim pay a sum in cryptocurrency for their files to be decrypted. This is usually paired with a time-sensitive threat to delete the data if the ransom isn’t paid post-haste. When attacking large corporations, cybercriminals go for the gold, trying to extort as much as they can from their victim. With small businesses, on the other hand, they take advantage of the common inability many have to afford the solutions that would protect them against such attacks, and ask for a smaller ransom. Considering the relatively high costs many solutions have for a small business, combined with these smaller, more “reasonable” ransoms--plus how much damage even the smallest amount of downtime can cause these businesses--it should come as no surprise that many small businesses see themselves as having no choice but to pay up. This is problematic for a few reasons. First, paying the ransom inherently requires entrusting the ones who attacked you to remain true to their word and actually unlock your systems once the funds have changed hands. Are you willing to assume that your attacker is a trustworthy person after they’ve threatened your business? Second, consider what effect a successful heist against an SMB would have on the cyber criminal. They would naturally be inclined to target more SMBs, possibly returning again to those who proved willing to pay up with a new attack. Think about it--which would you choose: a possible large payday, or a lot of almost-guaranteed smaller payoffs that quickly add up? Regardless, it is always better to avoid paying the demanded ransom and to instead rely on proactive measures, such as an off-site (or ideally cloud-based) data backup solution that you can restore your systems with that has been kept safely away from the ransomware. You also need to make sure your staff is well-versed in recognizing ransomware attacks in order to better avoid them, and what to do and who to contact if their workstation contracts one. If your SMB needs help protecting itself against the threat of ransomware, reach out to White Mountain IT Services for assistance. We can advise you on best practices to keep ransomware out of your systems. Give us a call at 603-889-0800 to get started.